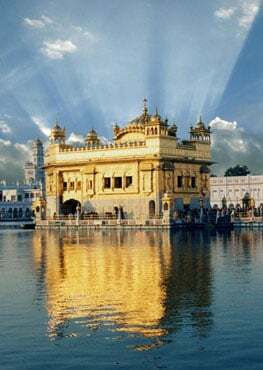 Over the next week we’ll be posting little audio reports by Ek Ong Kaar Kaur who is currently on a Yatra with others from our sangat in Hazoor Sahib, India. Click here. 300 years ago, something unprecidented, unique and wonderful occurred. After thousands of years, the tradition of living Gurus and disciples took a turn towards the dawning Aquarian Age, in which every person is soverign and honored in his or her own innate wisdom and consciousness. It had always been the tradition for the title of Guru to be passed along a clearly defined line of human lineage. In many cases, bloodlines could be traced all the way back to pre-vedic times. 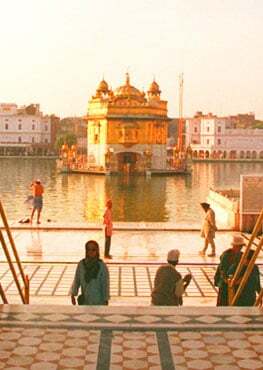 In 1708, Guru Gobind Singh, the tenth Guru of the Sikhs, having consciously witnessed the sacrifice of the lives of all his four sons, handed over the legacy to the Guruship of the Shabad Guru, embodied in the Siri Guru Granth Sahib. He understood that the age of lineage was over, and so he consciously left no heirs. The unique beauty of this is that the Siri Guru Granth Granth, our present Guru, can neither be altered nor it can be changed in any way. It is a touchstone for all humanity that exists beyond the limitations of time and space, now and in the future. Please contact us if you have suggestions about how to make this 300 Anniversary section better!